A short clip featuring the EMERALD Bodyboard Specialist team, charging at home and abroad. Edited by Matt Sekla. A few waves and some tranquil underwater imagery from Jason Yokobosky, shot during a trip to the Boog House. The fruits of a month spent on the Cook islands with Tre Mesk and friends. Music: Snakadaktal – Air // Chimena. 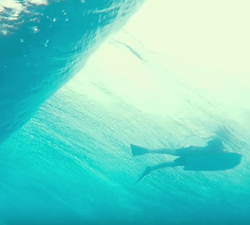 Theo Hinchliffe surfing in paradise, 10 days in the Cook islands. Brought to us by Santo Vanderwaal. A short clip of footage Tom Williams has gathered, filmed over 2015/2016 surfing in South Aus and the Cook Islands. A clip featuring Jack Williams bodyboarding during 2015-2016. Footage from The Cook Islands and Knights Beach, South Australia. Brodey Brockman surfing around Raro, Cook Islands. All footage from February 2016 by Tre Mesk and The Booghouse. A short clip featuring Andro van der Westhuizen and friends in the Cook Islands. Edited by Jack Williams. Samuel Ross charging at home in Tasmania and in the Cook Islands from the age of 16 through till now (19). Jack Baker charging in NSW and the Cook Islands in 2015. Brought to us by EMERALD bodyboard specialist. Edit: Matt Sekla.